Ichabod Crane is married. No matter how much chemistry Ichabod has with Abbie Mills, he's already said his vows to witchy woman Katrina Van Tassel. (Well, Katrina is kind of preoccupied right now with a sham relationship with Abraham/the Headless Horseman/the Horseman of Death right now, but, still, vows are vows.) Crane is tall, handsome, and has a lovely British accent — Katrina is a lucky lady. 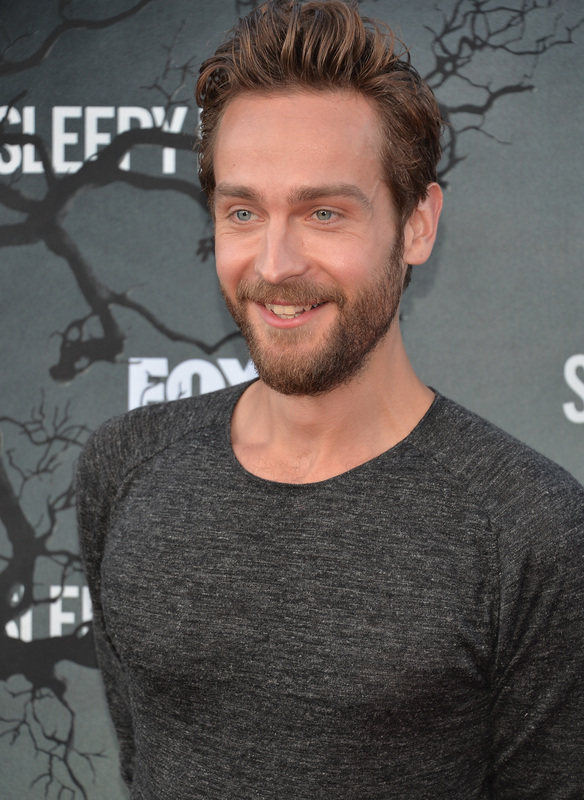 But the actor who plays Ichabod is equally tall, handsome, and British, which means we must shamelessly wonder: Is Tim Mison single in real life? Unfortunately ladies, he's taken — only recently, too. Mison married Charlotte Coy in May 2014. According to Us Weekly, the wedding was outdoors and rustic, and Coy wore a non-traditional wedding gown. (It doesn't say what Mison wore, but it's a good bet he finally got out of the ratty 18th-century coat he's always wearing on Sleepy Hollow.) The wedding was mostly kept secret, and it was just a small gathering for family and friends. The couple also squeezed in a honeymoon before Mison had to start doing press for the new season of Sleepy Hollow. It's safe to say that Coy isn't a witch being held captive by the Headless Horseman, like Katrina is. So, what do we know about this lucky, lucky woman? She doesn't have a ton of credits to her name, and they're mostly shorts. The one feature she was in was Hell's Pavement, a drama about a girl in the British social-care system. (I know it sounds like a horror movie, which would be fitting for a Sleepy Hollow spouse, but it's not.) I haven't seen the film myself, but a review in the Guardian says it's "intended to show how well-intentioned people can do an awful lot of damage — with surprisingly successful, unsanctimonious results." Despite the good review, Hell's Pavement was Coy's last acting gig. While she may have given up the trade, she's still involved in creative endeavors, namely buying and restoring vintage items. She's currently in the process of moving her vintage business, The Dotty Pigeon, from the U.K. to the U.S. When it's up and running again, she promises a mix of photography, vintage items, antiques, and even recipes. About those recipes: A self-professed foodie, Coy is always snapping delicious-looking photos of food. Her Instagram pics are seriously Martha Stewart -worthy, even if Ichabod Crane doesn't know who Martha Stewart is. Charlotte, if you have some more of those rosemary shortbreads lying around, feel free to send them over to the Bustle offices. Say yes, Mison! Never turn down a diorama of dinosaur riding a bicycle.